This recipe is so quick and easy. To be able to know what you are eating to pronounce all the words and have no added chemicals, wow what a concept! It is a great feeling of accomplishment to know you made it! Once you try this, store bought ketchup will be a thing of the past. I have two other ketchup recipes, but they are made with fresh organic homegrown tomatoes and since the season is over I will wait until next summer to share those. My hat is off to everyone who is trying to make better choices! I hope you will try and enjoy! Put all ingredients in a blender or food processor and blend well. Pour in to jar, place on air tight lid. Refrigerate overnight. Shake jar and it is ready to use! 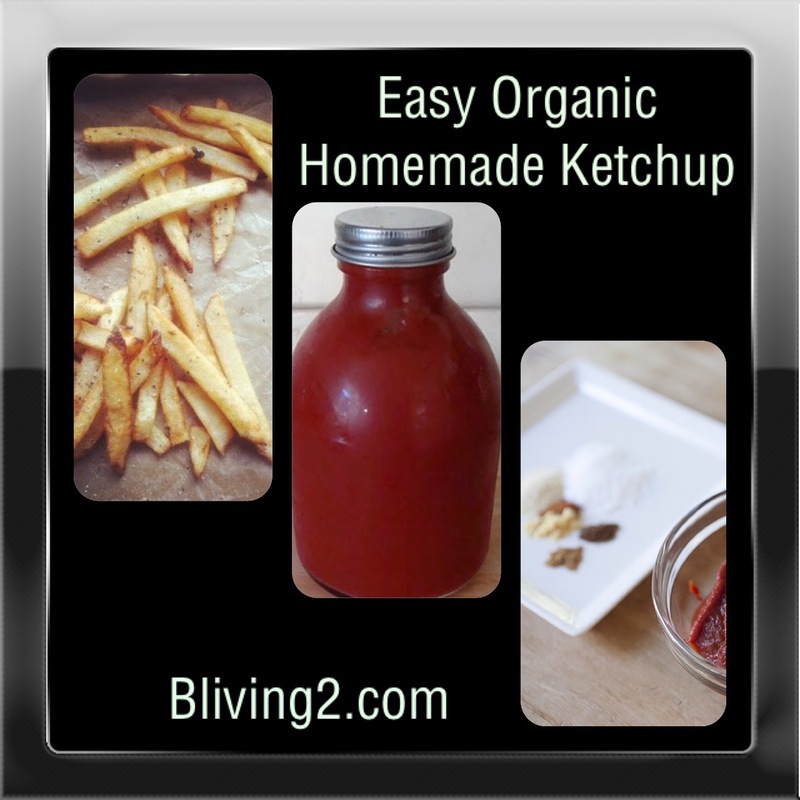 Now you have an organic, homemade, ketchup with no GMOs or high fructose corn syrup like the store bought stuff. You can also add cayenne or tabasco for some heat. Cinnamon or cloves for extra flavor. My favorite is some fresh lime juice, I am a lime fanatic! Lol! Tweak the recipe and please share your add ins.